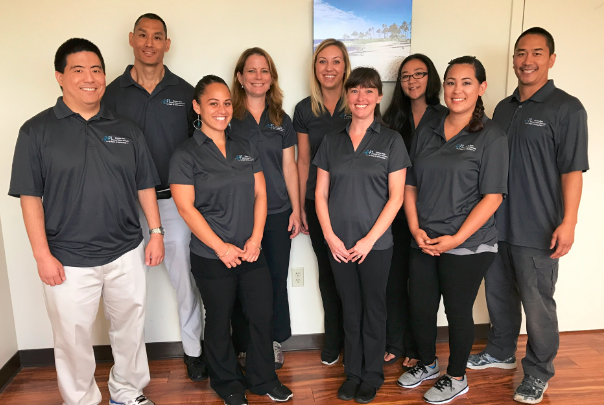 At Central Oahu PT Specialists, our mission is to provide you with the best rehabilitation services possible. 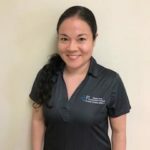 We offer one to one treatments with licensed physical therapists whose goal is to educate and empower each individual to manage their symptoms independently. Bobby graduated from Oregon State University with Bachelors in Science. 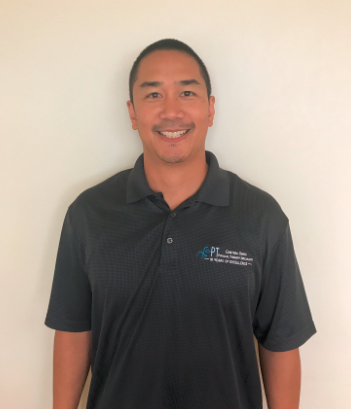 He then graduated from the University of the Pacific with a Masters in Physical Therapy in 2000. He holds a certification in Strength and Conditioning from NSCA and a certification in Olympic Weight Lifting by USAW. His focus is not only on Orthopedics but Neuro/Vestibular Rehab and he is certified in Graston techniques. He is experienced with cardiac rehab. He is passionate about patient care and restoring individual health and mobility. His first introduction to Physical Therapy was assisting his brother John with his rehab. John had a spinal cord injury and was for a period a paraplegic. His outside interests include spending as much time with his wife Chelsea and 2 children Kylana and Kenny. Bernie was raised in Aiea and graduated from Iolani School and then went on to receive his Bachelor’s Degree in Psychology from the University of Washington. Bernie then went on to receive his Master’s Degree in Physical Therapy from Mt. St. Mary’s College in southern California. 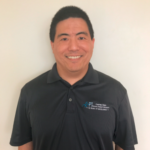 Bernie’s emphasis in physical therapy include: orthopedic – post surgical, acute and chronic musculoskeletal pain, foot/ankle disorders, and sports rehabilitation and sports enhancement. 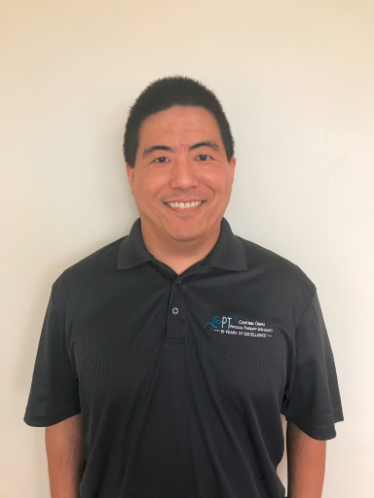 He is certified with the LSVT Big system for treatment of patients with Parkinson’s disease, Graston-certified, and a member of the Vestibular Disorders Association (VeDA). He is experienced with cardiac rehab. Bernie enjoys spending time with his wife and three sons as well as spearfishing, hunting, surfing, training, and singing and playing music. Heather O’Malley was born and raised in NJ. She attended Springfield College in Springfield, MA for both undergraduate and graduate school, receiving her Master of Science in Physical Therapy in 1996. Upon finishing her physical therapy degree, she moved to the Oregon Coast. After 3 years on the west coast, she and her husband moved to Hawaii. Heather brings with her over 20 years of clinical expertise. 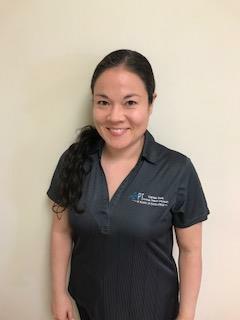 She is certified in Neuro Developmental Treatment (NDT) techniques for treatment of neurological pathologies and experienced in cardiac rehab. 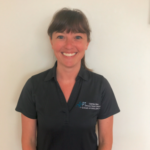 Heather has a diverse physical therapy background with experience in treating a wide variety of ages and diagnosis including stroke, traumatic brain injury, multi-trauma, developmental delay, musculoskeletal, orthopedic and sports injuries. When not working, she enjoys trail running, mountain biking, paddling and gardening. Jessi was raised in Pearl City and graduated from Kamehameha Schools. 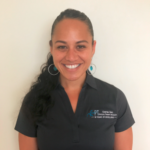 She received her bachelor of science from Oregon State University and Doctorate of PT from University of the Pacific in 2012. 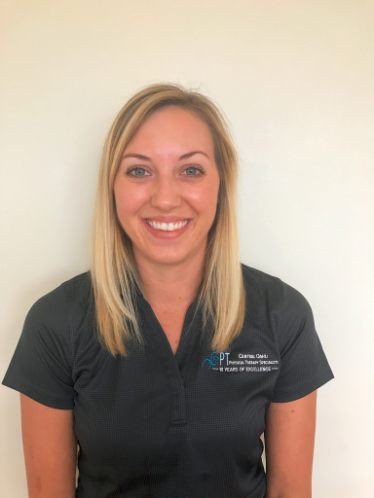 Jessi’s emphasis/background of treatment is in orthopedic/sports, neurological, vestibular, geriatric rehab and cardiac rehab. 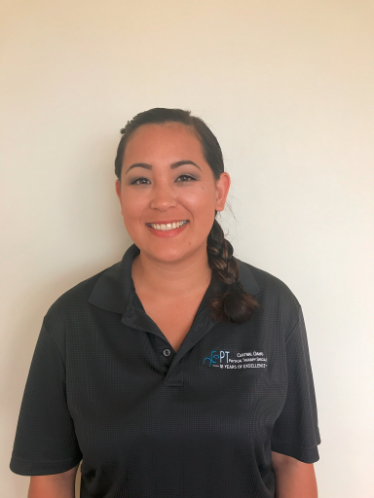 She is an avid volunteer with Special Olympics Hawaii and is the current coordinator of FunFitness for their Healthy Athlete venue. Jessi enjoys the outdoors-ocean and beach activities, hiking, fitness, and time with family/friends. Andrew was born and raised in Pearl City and graduated from Hawaii Baptist Academy. He received both his B.A. in Japan Studies and Doctorate degree in physical therapy from the University of Washington. He worked in an outpatient setting in Seattle for 5 years before returning to Hawaii. 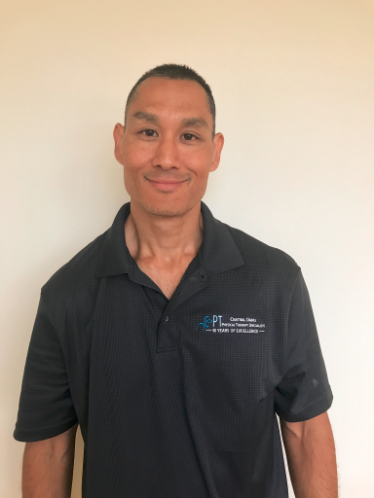 Andrew enjoys treating a variety of orthopedic, musculoskeletal, and post-op injuries, and helping people return to the activities they love to do. 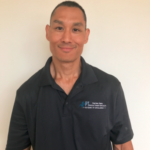 Andrew is NAIOMT trained, certified in Graston techniques, and has experience in cardiac rehabilitation. In his free time, he enjoys spending time with his wife and 2 daughters, tai chi, trying new restaurants, and cheering for UW and the Seattle Seahawks. Bri was born and raised under the Big Sky in Montana. Bri attended the University of Montana in Missoula where she received a Bachelor’s degree in Health and Human Performance with an emphasis in Exercise Science. She then went on to achieve a Doctorate of Physical Therapy at Eastern Washington University in Spokane, Washington. 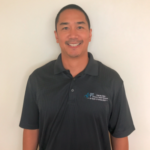 Bri’s professional interests include pelvic floor rehabilitation and women’s health, orthopedics and neurological rehab, cardiac rehabilitation and prevention and wellness. She has a history as a competitive dancer and continues to enjoy supporting the fine arts. Recreationally, she enjoys hiking, playing golf, stand up paddle boarding, and checking out weekly farmer’s markets. Katie was born and raised in Pennsylvania. She attended Temple University in Philadelphia, PA where she received her Bachelors of Science in Kinesiology and Doctor of Physical Therapy degrees. While completing her undergraduate and graduate studies, she enjoyed volunteering with the Muscular Dystrophy Association summer camp and working at the local Boys and Girls club. 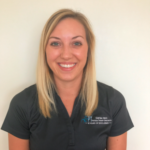 Katie’s professional interests include orthopedic, neurological, and geriatric rehab and she is experienced with cardiac rehabiliation. When not working, she enjoys hiking, stand up paddle boarding, yoga, and spending time with her husband and their dog. 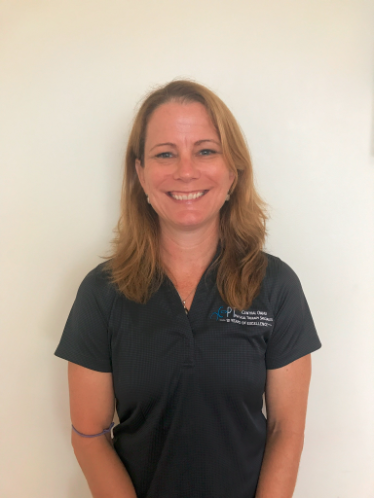 Erin is grateful to be a part of the COPTS team and brings with her over 20 years of experience in the field of Sports Medicine. She grew up in Mililani and is a proud graduate of Mililani High School. 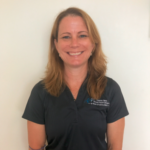 Erin received her Bachelors of Science in Athletic Training from UH Manoa before earning her Masters of Science in Physical Therapy from Duke University. 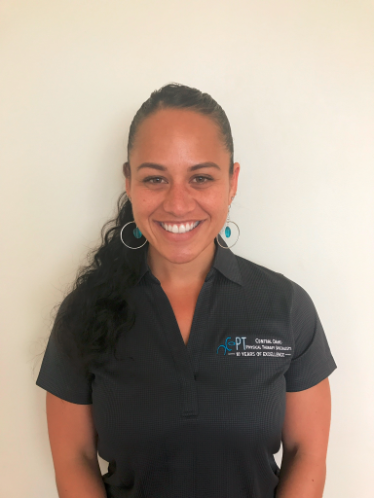 She studied dance for over a decade, which is what initiated her interest in the field of physical therapy as a means to help people regain and improve their physical abilities. 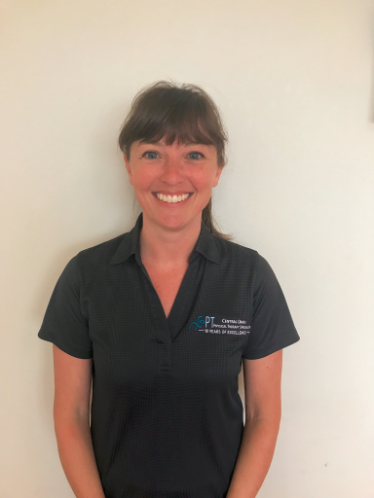 Erin’s training in orthopedic, sports, and post-operative rehabilitation has been complemented by her experiences caring for a wide variety of patients, and her treatment areas of interest have grown to include pediatrics, pre- and postpartum issues, and chronic pain. She is experienced in cardiac rehabiliation. When she’s not in the clinic, Erin’s focus is on motherhood. She enjoys superhero movies, sightseeing, Blue Devils basketball, hiking, and cheering for and supporting her son at his various sports and activities. Hi! 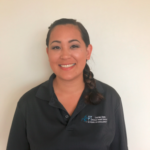 My name is Natalie Napoleon and I am the receptionist at Central Oahu Physical Therapy Specialists in Wahiawa. I’ve been in healthcare for many years and enjoy meeting new people. When I’m not at work serving our valued patients, I am a full time Mom of 4 wonderful boys. I love watching them play baseball, football, and everyday is an adventure! COPTS is like a family and I’m happy to be a part of it. I look forward to meeting you and answering any questions/concerns you have. Stop by or give me a call!